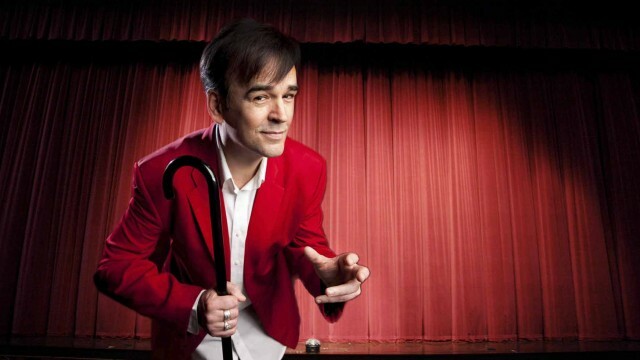 Tim Ferguson: I am enthusiastic about bad ideas. Tim Ferguson: By suggesting an unorthodox health cure for MS. Homeopathy and the Paleo Diet inspire my most lurid vocabulary. Tim Ferguson: An ability to shut up until they know something useful. TBS: What advice would you give a 15 year old Tim Ferguson? Tim Ferguson: Star Trek cosplay items. TBS: What do you want fans to get out of the current DAAS shows? Tim Ferguson: The show is a sobering fright for all thinking people. We want our audience morally confused, but giddy with pheromone buzz.